Around the world, solar and other renewable energy technologies are seeing widespread adoption in both residential and commercial applications. As prices drop, and governments continue to offer tax rebates and other incentives for switching from fossil fuels, the market for solar devices will continue to grow. With this growth, there will be an increased need for photovoltaic testing services to confirm new products meet consumer demands for safety and performance. A growing market is also likely to mean increased regulatory demands — something that will require sophisticated partnerships and industry expertise to keep up with. When you need solar panel certification or photovoltaic testing, contact National Technical Systems (NTS) first. NTS has the expertise and capabilities to assist you with the tough non-standard engineering and testing challenges facing your solar power products in addition to handling the more routine “test to specification” and certification services. Our engineers will work with you to help determine and develop the requirements you need to meet, helping get your product to market quickly and efficiently. The MIL-STD-810, Method 505 standard for photovoltaic devices is one of the most important protocols when bringing a new solar product to market. 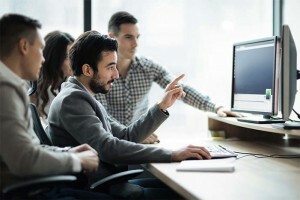 Not only is it essential for any device used in defense applications, it also represents a standard of quality consumers have increasingly come to trust. Investing in proper photovoltaic testing will help you stand out in the crowded and still-growing solar marketplace. It will also reduce your liability by ensuring every device lives up to its promised expectations for performance and longevity. Heating effects testing: MIL-STD-810, Method 505 compliance requires testing a photovoltaic device’s ability to withstand extended exposure to heat and solar radiation — clearly an important consideration for any PV device. Testing is used to determine the maximum exposure temperature that can be reached before degradation or equipment failure occurs. For this type of testing, temperature-only simulation is considered imperfect, as it does not take into account the differential heating effects caused by solar radiation. Actinic effects testing: Actinic effects testing measures the negative impacts of extended exposure to sunlight on a device. The use of air-cooled, mercury-doped metal halide lamps can speed up the testing process, replicating the effects of long exposures times without the wait. This, in turn, allows you to more accurately determine the average lifespan of a photovoltaic product and set your warranty policies accordingly. NTS, with its network of test laboratories across North America, has the capabilities to formally evaluate and test PV solar power equipment to ensure that your product will hold up to all operating challenges it faces during the course of its intended lifecycle. Our services encompass the standard test requirements of industry specifications such as UL1703, IEC 61215 and MIL-STD-810 in addition to custom-defined testing requirements. Requirements for MIL-STD-810 photovoltaic testing are outlined above. They can be fulfilled at the NTS Tempe lab, as well as a number of other NTS locations around the country.The UL and IEC certifications include a variety of environmental and electrical safety tests that NTS has been performing for decades, including UV radiation exposure, extreme temperature and humidity, arc tests, insulation resistance, withstanding high voltages, resistance to hail/stone impact and other simulated environments. 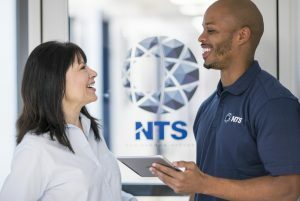 Since our founding more than 50 years ago, NTS has positioned ourselves as an industry leader, both in providing advanced testing services and adopting new technologies as they become available. We were one of the first national lab networks to offer solar cell test services, and we will continue to refine our capabilities as the market for alternative energy devices grows and changes in the years to come. Our in-house engineers can develop a PV testing program that meets your regulatory requirements and positions you for future success.Contact us today for more information about how NTS can help you achieve your PV testing and engineering goals.